Ortho Molecular Products Reacted Magnesium is based around a blend of three different and well-regarded magnesium forms. This is sure to maximize its potential bioavailability for any individual digestive system. Magnesium is a critically important nutrient which is essential for healthy cardiovascular and cognitive function. 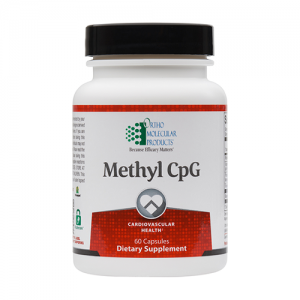 225 mg blend of DiMagnesium Malate, Magnesium Citrate USP, and Magnesium Lysinate Glycinate Chelate. Ideal for those who have struggled to find the right form of magnesium for their unique digestive system. 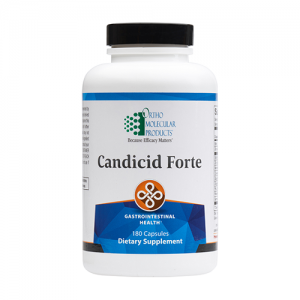 May provide nutritional benefits for the cardiovascular system, cognitive function, and more. Magnesium is thought by many nutritional experts to be the most important mineral for human health and well-being. 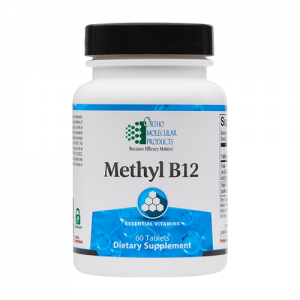 This is largely due to its role as a cofactor in over 300 different enzyme systems. All of these varied enzymatic reactions exert a positive influence on protein synthesis, muscle and nerve function, blood glucose control, and blood pressure regulation.1 As such, magnesium is known for its potential to support both cardiovascular health and cognitive function. Given all these amazing health benefits, it’s great news that magnesium is contained in large quantities within a number of common foods such as dark chocolate, avocado, and fatty fish. However, it is also common for people to encounter difficulties with digesting and absorbing magnesium from these food sources. For those with absorption issues, magnesium supplements are a popular method of compensating for what is lost from food sources. Generally, this method is viable. However, not all magnesium supplements are made with the ingredients, dosages, and delivery methods to get the job done properly. One key piece of criteria too often overlooked in magnesium supplements is the form. Supplemental magnesium comes in dozens of forms which have varying levels of bioavailability in different individuals. That’s why it can be difficult to pinpoint an objective ‘best form of magnesium’ which will absorb the most effectively in each and every digestive system. Sadly, such an ingredient doesn’t exist. In an effort to solve this inherent problem with magnesium supplementation, Ortho Molecular Products has crafted a product which contains several varieties of extremely well-regarded magnesium forms. 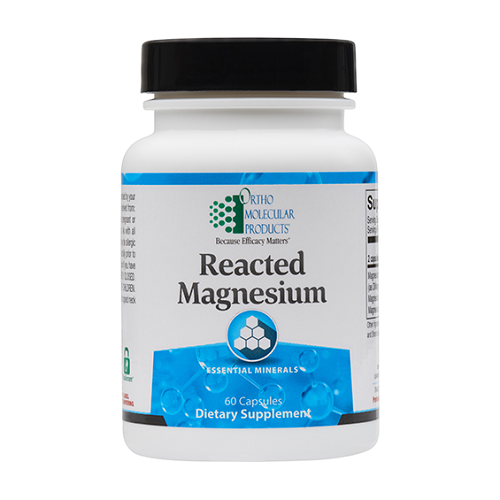 Reacted Magnesium contains balanced doses of DiMagnesium Malate, Magnesium Citrate USP, and Magnesium Lysinate Glycinate Chelate. This potent blend from Ortho-Molecular is a great way to hedge your bets with these varying forms and finally find a magnesium supplement that works for you!